UNEP is the voice for the environment within the United Nations system. UNEP acts as a catalyst, advocate, educator and facilitator to promote the wise use and sustainable development of the global environment. 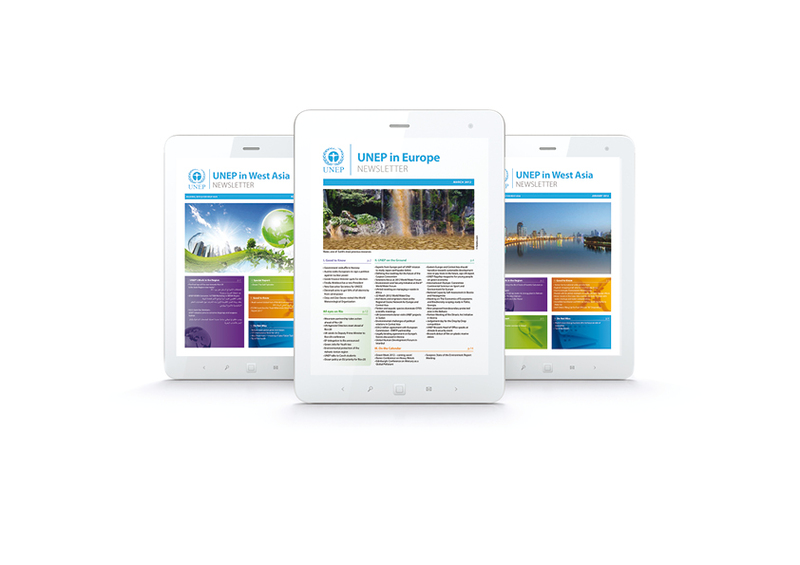 While working at Page in extremis, i worked for Unep, by designing their monthly newsletter. For sure UNEP, takes care on the environment, and avoids printing papers. For this reason, the newsletter was published only by mail, and on their website, as an interactive pdf.